K.J. Holmes, a Brooklyn based danceartist/actor/singer/writer, travels nationally and internationally teaching/performing/creating. K.J. has been exploring improvisation as process and performance since 1981. She has collaborated extensively with Julie Carr, Simone Fort, Karen Nelson, Lisa Nelson and Image Lab, Steve Paxton; has performed in the work of Miguel Gutierrez and the Powerful People, Xavier Le Roy, Lance Gries, Mark Dendy, Melinda Ring, Karinne Keithley Syers, among many others; was cast in Matthew Barney’s new film Redoubt; collaborates with drummer Jeremy Carlstedt in L.I.P. (Love Is Power, MLKjr. 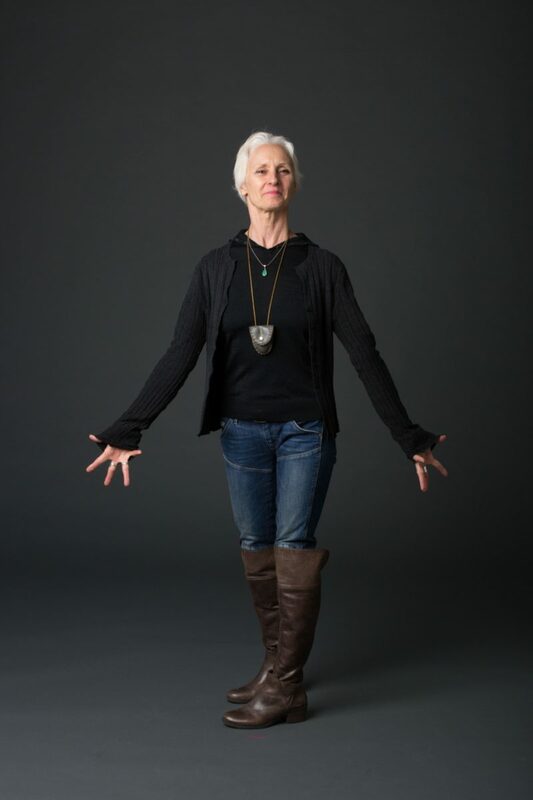 ); teaches at NYU/ETW, The Juilliard School, Sarah Lawrence College and Movement Research; is a graduate of the School for Body Mind Centering(r), William Esper Studio (Meisner acting with master teacher Terry Knickerbocker),Satya Yoga (with Sondra Loring) and continues to study voice with the coaching of Richard Armstrong. K.J. is currently devising a new piece titled 900 Bees Are Humming, a multi disciplinary work exploring life, death and transformation. Her work has been presented by many venues including The Chocolate Factory, PS122, Danspace Project, Mana Contemporary Chicago, The Belfry, Chashama, Dixon Place.